"Google's Pixelbook is some beautiful, well-built hardware, but its use of Chrome OS means that for many people, it will be too limited to be useful. Although Chrome OS is no longer entirely dependent on Web applications—it can also be used to run Android applications, and Linux application support is also in development—the lack of Windows support means that most traditional desktop applications are unusable. But that may be changing due to indications that Google is adding Windows support to its hardware. 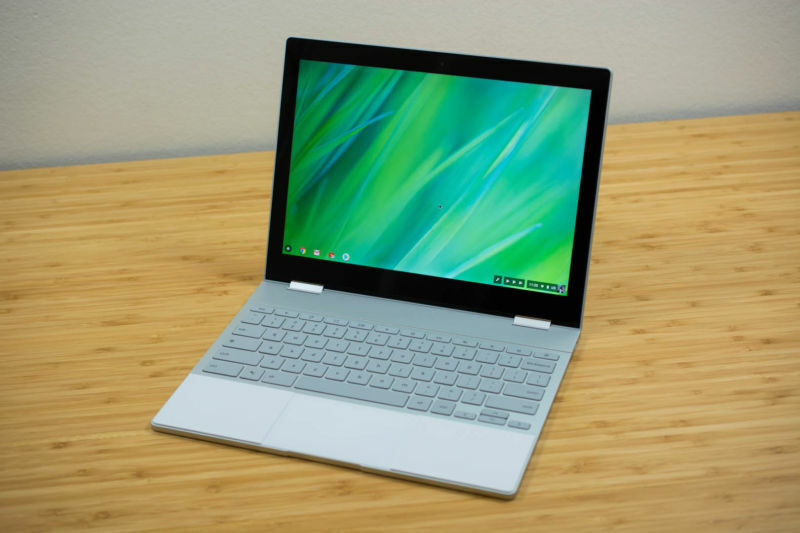 Earlier this year, changes made to the Pixelbook's firmware indicated that Google is working on a mode called AltOS that would allow switching between Chrome OS and an "alternative OS," in some kind of dual-boot configuration. A couple candidates for that alternative OS are Google's own Fuchsia and, of course, Windows. Recent changes suggest that it is indeed Windows that Google is aiming for. The Pixelbook's firmware is being updated to address issues picked up in Microsoft's hardware compatibility tests. The modifications make reference to the Windows Hardware Certification Kit (WHCK) and the Windows Hardware Lab Kit (HLK). The HLK is Microsoft's test framework that validates all manner of driver and firmware behavior to ensure that hardware is compatible with Windows 10. The WHCK is the corresponding set of tests for Windows 8.1. Fixing issues picked up by the HLK not only means that the Pixelbook's Windows compatibility is improving, it also opens the door to Google getting the hardware certified by Microsoft as being suitable for Redmond's operating systems. Of course, the firmware is not the only part of this equation; Google would also have to ensure there's a suitable set of drivers to go with it. And there are no guarantees that Google will actually ship this firmware: presently, most of the AltOS work is being done in its own separate branch, and it's possible that it will never be merged into the main firmware branch."